Devio is a 3 columns fixed width WordPress theme by MagPress.com. 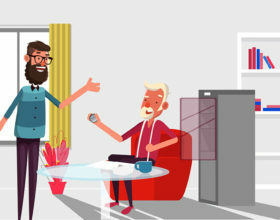 This WordPress template comes with theme options, featured content and categories, Adsense ready, etc. Crema is a 3 columns fixed width WordPress theme by MagPress.com. This WordPress template has theme options, featured content and categories, Adsense ready, Twitter and many more. 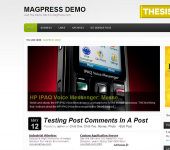 Prestar is a 2 columns fixed width WordPress theme by MagPress.com. This WordPress template has custom homepage, theme options, featured content slider, featured categories, Adsense ready and many more. 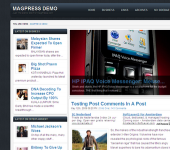 Grimes is a 3 columns fixed width WordPress theme by MagPress,com. This dark wooden background WordPress template has theme options, featured content slider, featured categories, Adsense ready and many more. 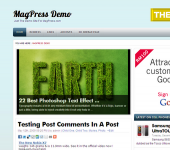 Glomac is a 2 columns fixed width WordPress theme by MagPress.com. 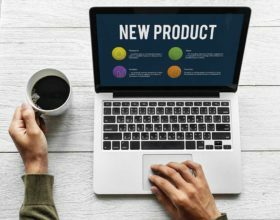 This WordPress template comes ready with theme options, featured content slider, featured categories, Adsense ready and many more. Pinkvisor is 2 columns fixed width WordPress theme by MagPress.com. This Pink WordPress template has theme options, featured content slider, featured categories, Adsense ready, Twitter and many more.